Meet Fresh, Sunnybank Plaza, Brisbane - my name is Food. Taiwanese desserts may not be everyone's favourite but it sure is for many, specially for those who likes those warm soy beancurd or shaved ice topped with various ingredients such as crushed peanuts, mango, taro balls, pearl and so on. Having not had it for awhile, we decided to go there during a hot day to freshen ourselves up. 'Herbal Jelly No. 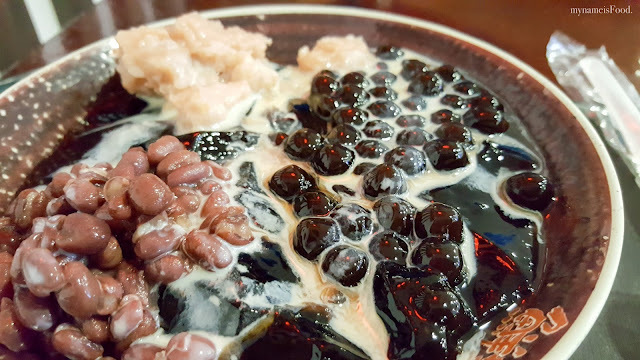 3 (Cold)' (AUD$6.50) was one of the dessert from the Herbal Jelly Series, which means that their basis was the herbal jelly also known as black grass jelly. 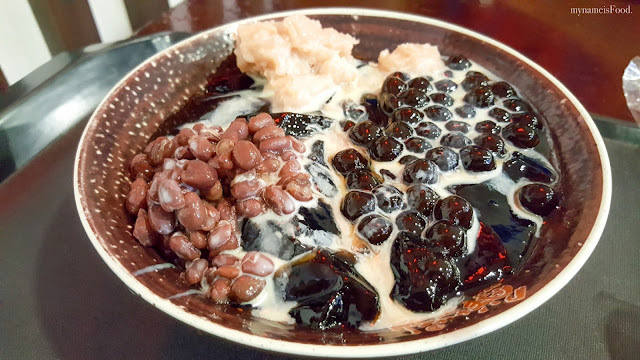 Topped with pearls, red beans and crushed peanuts, it allows a very cool dessert to have.